If you are not interested in taking the 8 hour CCW Class, but still want to learn about handguns or get reacquainted with them this is the class for you. 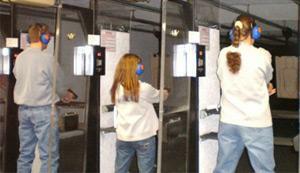 This class will give you hands on experience with handguns in a relaxed, informal atmosphere. Learn the basics of safety, handling, and shooting a handgun in a group atmosphere where you will feel right at home with other novice shooters. We guarantee you will enjoy this class so much you will leave with a smile on your face! Class size is limited to twelve, covers handgun safety (both Semi-auto and Revolver), safe handling, safe unloading, shooting fundamentals and practice shooting both .22 caliber revolvers and semi auto pistols on our indoor range.